Extending 135 km around the city of Amsterdam, this defense line (built between 1883 and 1920) is the only example of a fortification based on the principle of controlling the waters. Since the 16th century, the people of the Netherlands have used their expert knowledge of hydraulic engineering for defense purposes. The center of the country was protected by a network of 45 armed forts, acting in concert with temporary flooding from polders and an intricate system of canals and locks. Most of the defense fortifications surrounding Amsterdam are in private hands. Finding locations to take photos of was difficult because the few places you can visit were closed when we went to go visit them. We ended up driving past and viewing about 5 fortifications but were only able to get a handful of photos because they are mostly hidden from view and heavily shadowed. Despite the name of the site, there are no actual locations inside of Amsterdam. The Defense Line of Amsterdam, also known as Stelling van Amsterdam, is a UNESCO World Heritage Site that was inscribed in 1996. This is a ring of fortification around Amsterdam that stretches up to 135 kilometers in length. 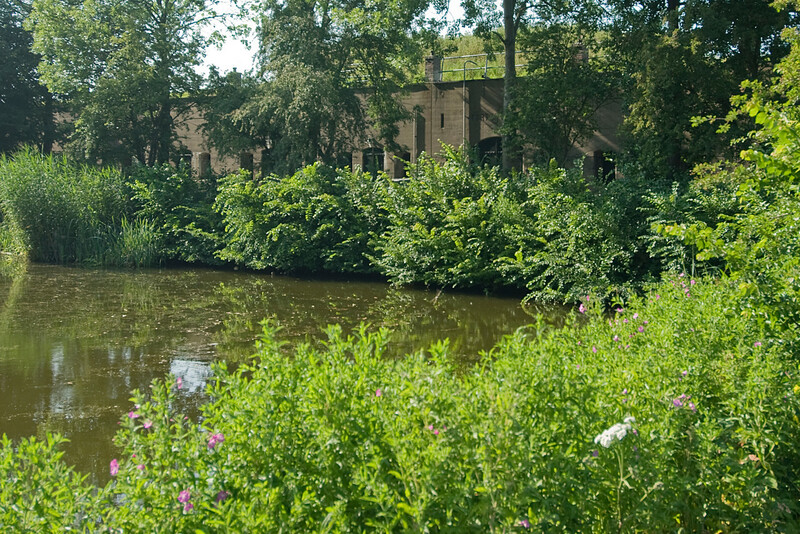 The property consists of 42 fortifications in total, which was built on lowlands on some of the parts of Amsterdam that were vulnerable to flooding during the time of war. This made it possible to create flooding with a depth of 30 cm that made it impossible for boats to traverse through them. In a way, the structure capitalized on Netherlands’ age-old struggle against flooding in order to fend off possible attackers. Meanwhile, there were also buildings constructed near the fortification wall and they were all made of wooden materials. This made it possible to easily burn the structures down so as to remove any obstruction. The fortification on the Defense Line of Amsterdam was constructed in the late 19th century and was completed in the early part of the 20th century. However, the invention of tanks and airplanes by the time the fort was completed made it almost obsolete. Today, the fort is under the control of the town councils and the nature department. It is also open for visitors who wanted to view the site. The 135-km defense line of Amsterdam provides a circular defense of about 15 to 20 kilometers in the capital city. The defense line consists of several structures such as 36 forts, 2 coastal forts, 2 fortresses, 4 batteries, and 2 coastal batteries. In addition to the aforementioned structures, there are also additional mini structures to provide further defensive purposes including secondary batteries, depots, and inlet sluices. 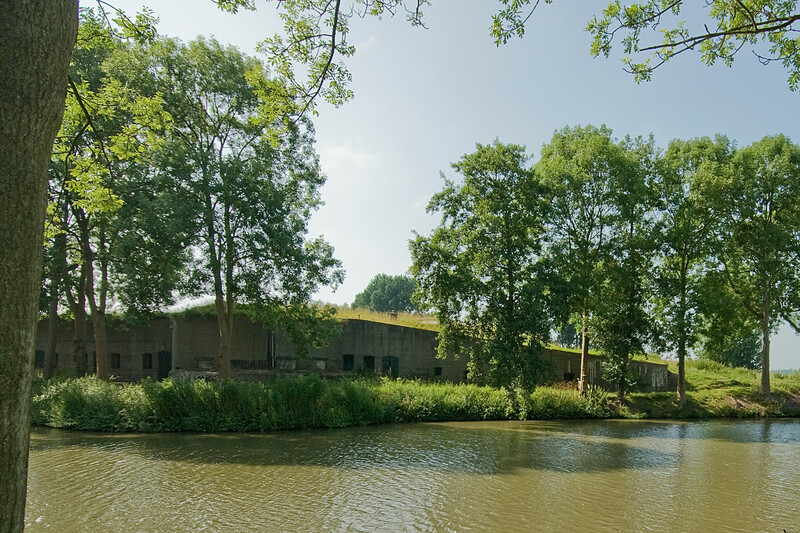 All of these structures had the sole purpose of defending the National Keep, which served as the last line of defense for the Kingdom of Netherlands. 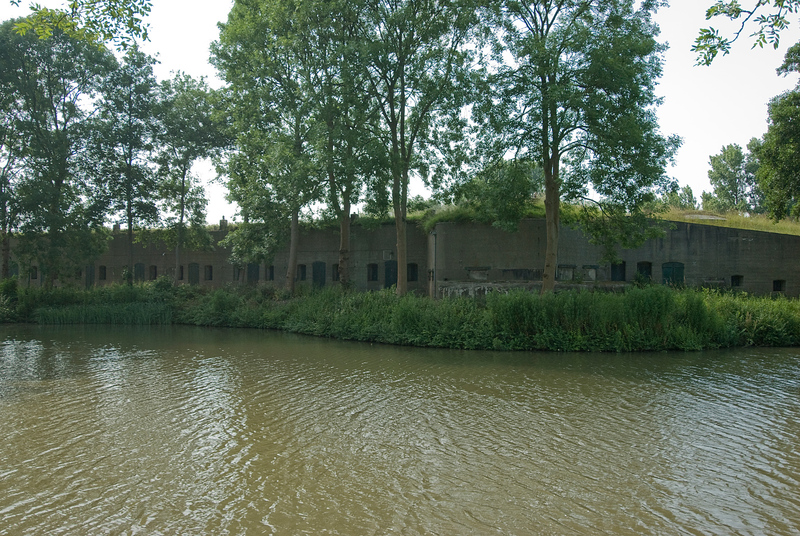 These defensive structures were put in place by the army knowing that the Netherlands was constantly under threat from three other superpower nations at that time: UK, France and Germany. But prior to building these complicated and massive defensive structures, there were defendable earthworks that were constructed in place. From then on, bombproof buildings were constructed. When there was no war, these forts were abandoned and unoccupied. Within each fort, there was heavy artillery although small caliber guns were the ones mostly used. The guards that were assigned in each fort (especially in the coastal forts) were sent there for the purpose of closing out nearby accesses to Amsterdam and those within the circular defense. Some of the access areas that were closely guarded included roads, railroads, and large waterways. In addition to the forts and other buildings that make up the Defense Line of Amsterdam, there were also special canals that were built. Despite the effort and planning involved to build the Defense Line of Amsterdam, it never saw combat service. At the turn of the 20th century, aircraft were already being used and it rendered the defense line obsolete. It was decommissioned in 1963 although it was still being maintained. But due to the role it played and how it provided a glimpse into the combat and military aspect of Netherland’s history, it was still recognized by UNESCO as a cultural heritage site. It is important to research the route for each fort. This will make it easier for you to know how to travel to and what modes of transportation to use for easy access to each route. You can travel by car, bike or public transport. There are bikes for rent in train stations in Amsterdam, or within the vicinity of the Defense Line of Amsterdam. You can rent some to make it easier to explore and see as many forts as possible. If you decide to bring your own car, you must keep in mind that the roads leading to the fort are narrow. Therefore, that might leave some parts of the UNESCO site inaccessible to cars. There are no parking facilities at the site so you must look for a secure parking spot on the roadside on your own.